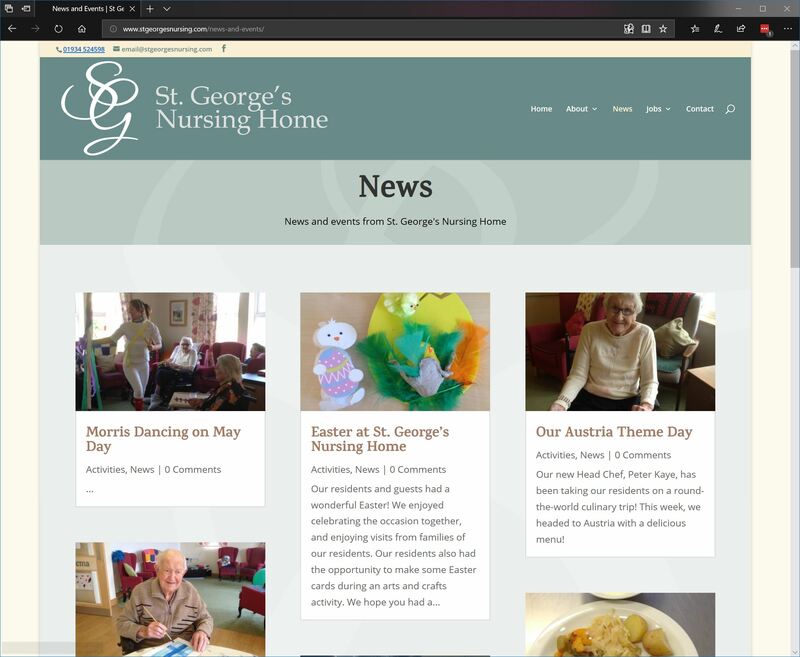 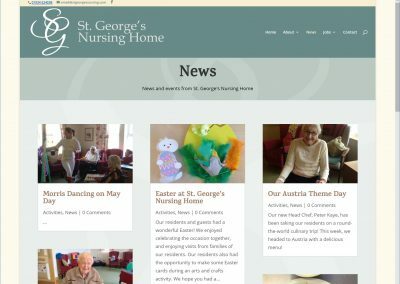 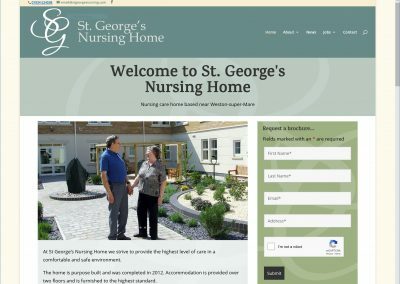 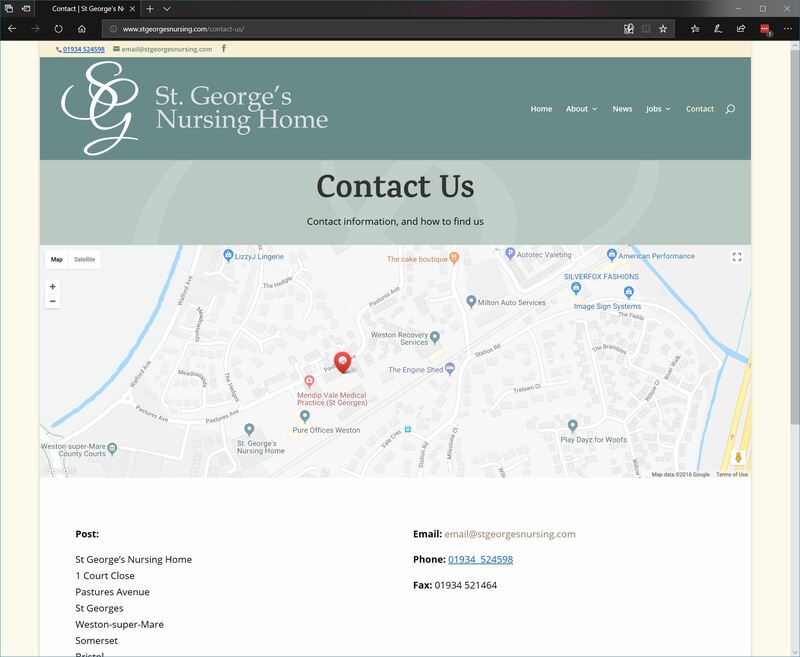 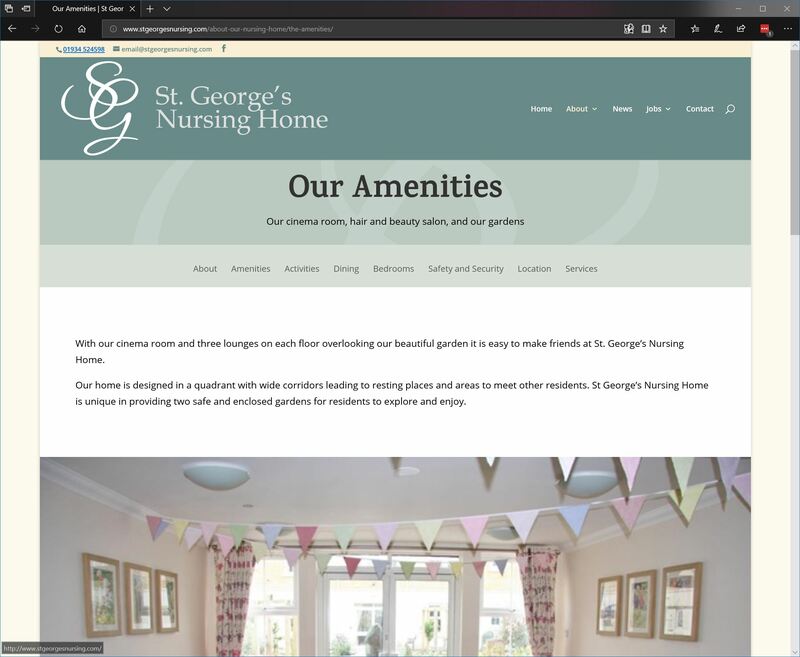 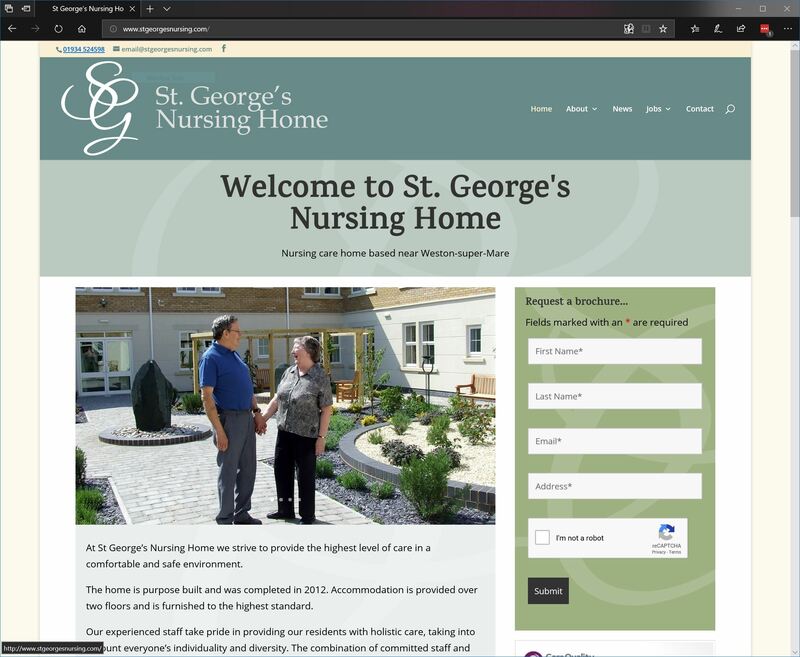 The St. George’s Nursing Home website was designed to be accessible and informative, delivering information about a specialist nursing home near Weston-super-Mare in a clear and concise fashion. 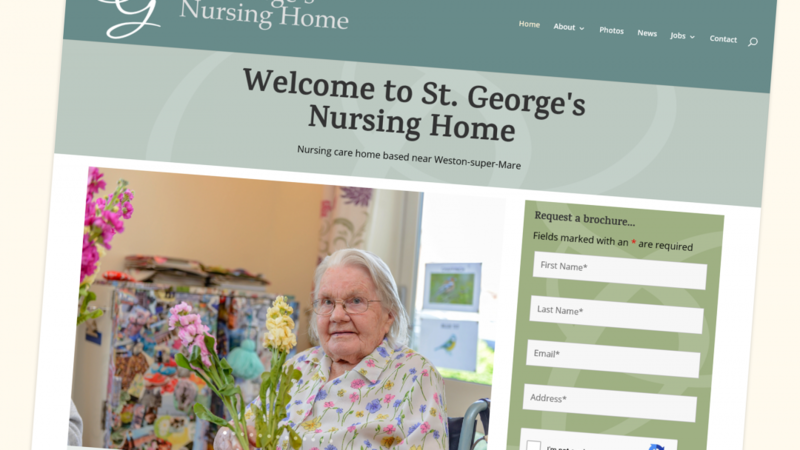 The site is designed to be clean, but colourful, with easy access to requesting additional information. 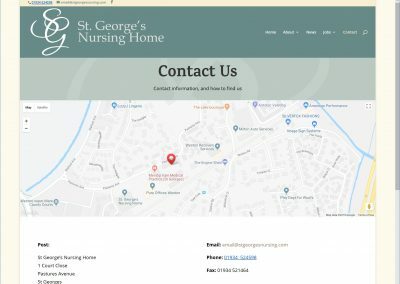 The virtual tour walks a website visitor through the features of the home and the key differentiators that separate St. George’s Nursing Home from its competitors. 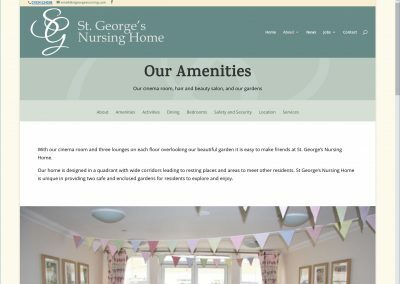 We also worked exclusively on rebranding St. George’s Nursing Home, developing their new logo, typefaces, and colour and layout guidelines to convey the nursing home’s premium yet homely atmosphere.